Andrew practises throughout the State specialising in the planning and environment jurisdiction from P&E Law’s Maroochydore office. Andrew has a critical legal mind with up-to-the-minute knowledge of this specialised area of law. He provides clients with advice to achieve low risk, high value and timely outcomes. Andrew’s clients include developers, Councils and community interest groups. Andrew provides due diligence advice, assists with problem solving in the course of development applications and conducts appeals and applications in the Planning and Environment Court. Andrew also provides advice to Councils to assist their strategic town planning and acts in the prosecution or defence of matters under the Nature Conservation Act 1992 (Qld), Vegetation Management Act 1999 (Qld), Planning Act 2016 (Qld) and Local Laws. In addition to the usual range of MCUs and RALs, Andrew has recently been involved in some less common developments including solar farms, shooting ranges and motor racing facilities. Andrew has a particular interest in extractive industries projects. 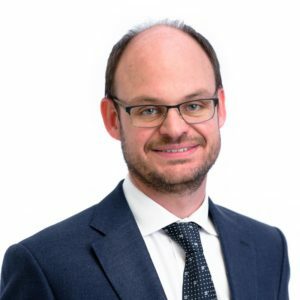 Where litigation is unavoidable, Andrew maximises his client’s prospects of success by critically analysing the case, assembling the right team of experts and counsel for the job, then managing the team to achieve the best result. Andrew’s record of success is enviable. Andrew loves solving problems and seeing clients achieve their goals. When not working Andrew loves spending time on his rural property with his family, keeping fit with yoga, boxing and swimming at the beach. Andrew enjoys good food and wine (and beer and Scotch). Successfully overturned the approval of a competing neighbourhood shopping centre and secured approval for the client’s shopping centre proposal. Issues included: traffic, noise, architecture, economics and town planning. Successfully obtained approval for 500mt/a hard rock quarry against Council and submitter group. Issues included noise, dust, blasting, traffic, quarry operations, need, ecology, aviation safety and town planning. Successfully resisted the Council’s application for leave to appeal against the P&E Court’s decision to approve the quarry. Successfully supported an application to Court for declarations about an existing use. The application involved factual and legal issues of existing lawful use rights including the definition of the use, date of commencement, material change of use and abandonment. In this case, Andrew acted as the advocate for Council.